Razer Turret Makes PC Gaming From Your Living Room Easier | Nerd Much? Getting a great gaming experience with your PC from the comfort of your living room couch is a tough feat to achieve. Sure, you could use a laptop, but then you have to be tethered to a wall with cords. Now, Razer has a way to make PC gaming from your living room easier: the Razer Turret. 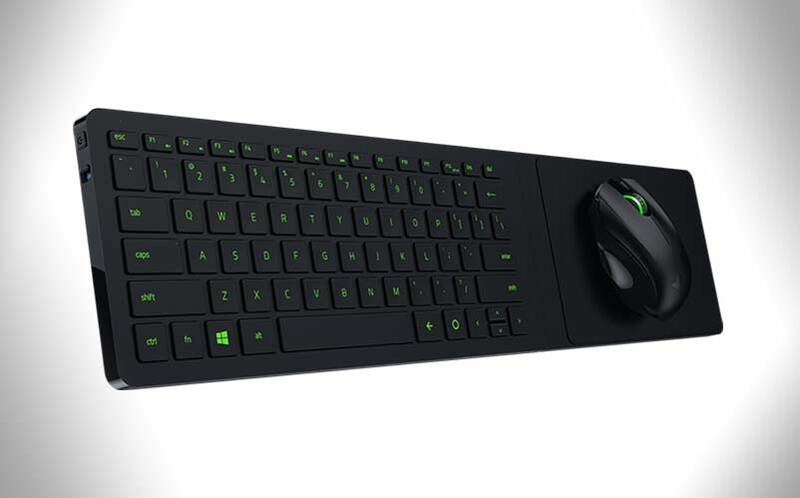 The Razer Turret is an ultra slim keyboard and mouse combination that has a magnetic mouse holder so that it’s comfortable to use while sitting on the couch (you don’t have to worry about the mouse falling off). The unit sits in your lap comfortably, bringing precise controls and text chat capabilities right to your living room. It has a long battery life, supporting up to 40 hours of non-stop usage, meaning you don’t have to charge it after every single gaming session. It’s designed to use with Remotr, which allows you to stream any computer game from your PC to another PC, tablet, or your phone (so, you can stream to your TV with ease). So, if you were looking to play PC-only games like The Culling, League of Legends, or World of Warcraft right from your couch, the Razer Turret is a great option. For more cool nerd stuff to buy, stay tuned to Nerd Much. You can also follow us on Twitter and Instagram for timely updates.